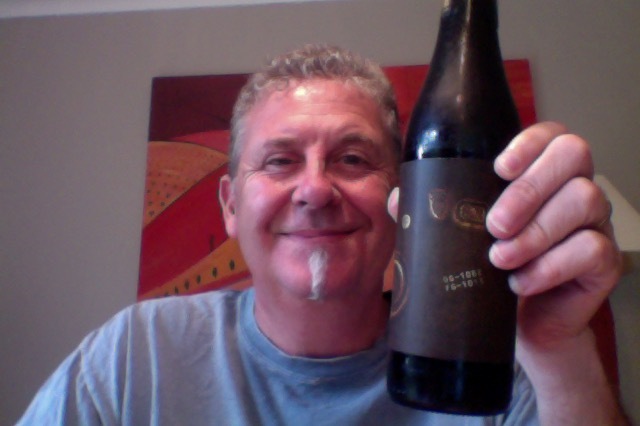 Another beer with a label that intrigues, again from Hallertau, and this time a Stout, because, well, I like a good Stout. Plus there seems to be a quite a few around at the moment, for no reason I can figure, and well who doesn’t like a good Stout beer. An 8.8% ABV beer, in a 500ml bottle some 264 calories a serve size, and 45 IBU things, the whole is about 3.5 standard drinks. A Milk chocolate aroma on opening. Black as coal pour with a lovely coffee tinged head that filled up the available space, and I didn’t lose any. A slightly bitter base over a milk and chocolate aroma in the glass. The last is a lot of milkiness than a shot of bitter, some chocolate, a bit in the middle, and that a wallop of a dry finish. A bit unusual as mouthfeel goes if I was being particular. I decided that really I didn’t care too much for this, and I know because I got sidetracked with something else. I don’t know I’m bit on that lactose milk sweetness, and that underlying bitter, and that dry finish caught me out. None of that makes it a bad or undrinkable beer though, just because this pretty close to being something really nice, it just fails to go the distance, comes up a bit short, and leaves you wanting, to nick a phrase, for me it’s unseated the jockey. And I don’t even follow the nags. I think really then that this is a bit rather unbalanced, with a log of lactose/sugar at the front, making a bitterness and a dryness, hiding a beer that needed to have bit more punch in the middle. Lacks a bit of mouthfeel and substance. A few duff notes. I’m all about the cliché. The pdubyah-o-meter rates this as 8 of its things from the thing. It could be contender. Probably actually wouldn’t be, as for me this is rather lop-sided and a bit muddled. But I enjoyed it as drink, just not as an experience. Am I enjoying it? On one level I am, on another no. Would I have another? I don’t think I would, this reminded me of another stout that I’d rather be drinking. Would I share with a friend on a porch and set the world to rights? Simply put, no. 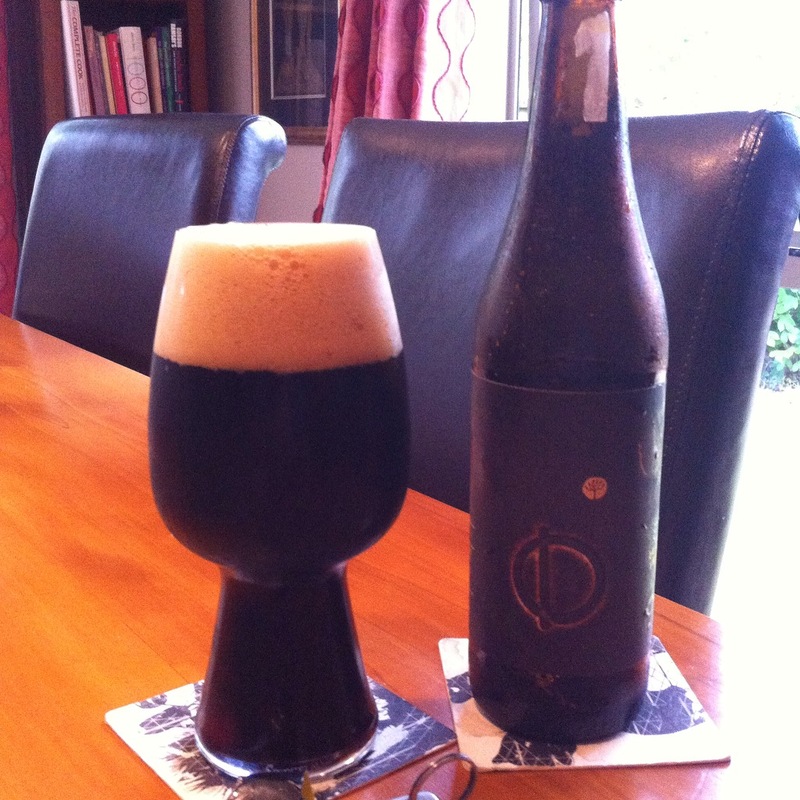 This entry was posted on February 5, 2016 by Philip Walter in Beer, Beer of New Zealand, Beer Review, Craft Beer, Critic, Hallertau, Imperial Stout, Justsaying and tagged Alcohol by volume, Beer, craft beer, Hallertau Nocturne, Hallertau Stout, Stout.